Next May, for the first time, Greater Manchester will go to the polls to vote for a Mayor who will oversee key areas including housing, transport and policing, as well as controlling the recently-devolved £6bn health and social care budget. But will young people’s voices be heard and what is being done to engage them? Sarah Marie Hall and Laura Pottinger ask if we are doing enough to ensure young people are represented in decisions that will affect their future. Greater Manchester is the first English region outside of London to be given devolved fiscal powers (Devolution Manchester or ‘Devo-Manc’) – a process that began on April 1st this year with new powers in the devolution of health and social care services from national government to regional decision-makers. But how has this process for devolution come about? Who has been involved in the various stages of decision-making? And whose voices count in these political and economic debates? When, in 2014, the Chancellor George Osborne gave a speech at the Museum of Science and Industry in Manchester, announcing plans for northern cities in England to form a ‘Northern Powerhouse’, had young people been consulted? Were they asked if they wanted devolution for Manchester, or what they might want from it? Local campaigns, such as Powerhouse Pioneers led by Manchester’s leading Youth Engagement Charity, RECLAIM, have raised concerns about the audibility of young people’s voices in the Northern Powerhouse and Devo Manc. They highlight that ensuring young people are at the centre, rather than the periphery, of discussions about the Northern Powerhouse and Manchester’s Devolution is one way in which equitable social change and inter-generational justice may be achieved. This requires listening to young people and providing a voice for their narratives; asking about, and observing, their role in political participation and social change, and representing these experiences in their own words. Working with RECLAIM to incorporate and encourage such youth engagement in economic and political debates, August 2016 marks the start of our ESRC funded research project ‘Powerhouse Pioneers Promoting Political Participation’. From now until February 2018, the team will be working to evaluate the impacts of RECLAIM’s current work to encourage meaningful and sustained youth engagement in discussions about, and transitions towards, the Northern Powerhouse and Devo-Manc. By shadowing and supporting RECLAIM’s Powerhouse Pioneers project, which brings together over 30 young people from the ten boroughs of Greater Manchester, the project will produce an in-depth evaluation of campaigning activity, and a series of resources including a toolkit, manifesto and film, each created in collaboration with young people. Of course, it is not only discussions about the Northern Powerhouse and Devo Manc where young people’s voices have been absent or worse still ignored. With any big political, social or economic change, it seems that government and policy-makers need to learn how to listen to and integrate young and in particular – working-class voices – and to do so from inception. 3) The future impacts of the result on young people not yet old enough to vote, whose opinions were not represented. Often ahead of the curve, a group of young people affiliated with RECLAIM have developed their own campaign, #TeamFuture, in response to their frustration at feeling locked out of debates and decisions about Brexit. The campaign endeavours to represent and champion the voices of working-class young people – politically, socially and culturally – to develop a grass-roots youth movement that can encourage those in power to incorporate and consider the views of future generations. As researchers with expertise in social justice we cannot help but wonder who are considered to be ‘the public’, whose opinions are being counted and heard in the Brexit debate. Are we doing enough to ensure young people are represented in decisions that will affect their future? To address these pressing questions and concerns in the context of Devo-Manc, our project evaluates the impacts of current work being undertaken by RECLAIM’s Powerhouse Pioneers, turning lessons from this campaign into supportive resources for stakeholders in cities across the North of England and also engaging in discussions with young people about the Northern Powerhouse and political devolution. By working with young people to co-produce a campaign manifesto, and a short film on their experiences and priorities for Manchester’s devolution, we hope to lead by example, showcasing creative, youth-led activities to incorporate and project the views of young, working-class residents. These activities are geared toward a much broader, more ambitious goal: to promote the political participation of young people in these socially, economically and politically significant debates. If, like the Powerhouse Pioneers campaign, we are encouraging young people to reach their potential, to be bold in their aspirations and to remain hopeful about the possibilities for change, then as academics we too should share this important goal. Dr Sarah Marie Hall is Lecturer in Human Geography at The University of Manchester. Her research sits in the broad field of feminist political economy: understanding how socio-economic processes are shaped by lived experiences, social differences and gender relations. 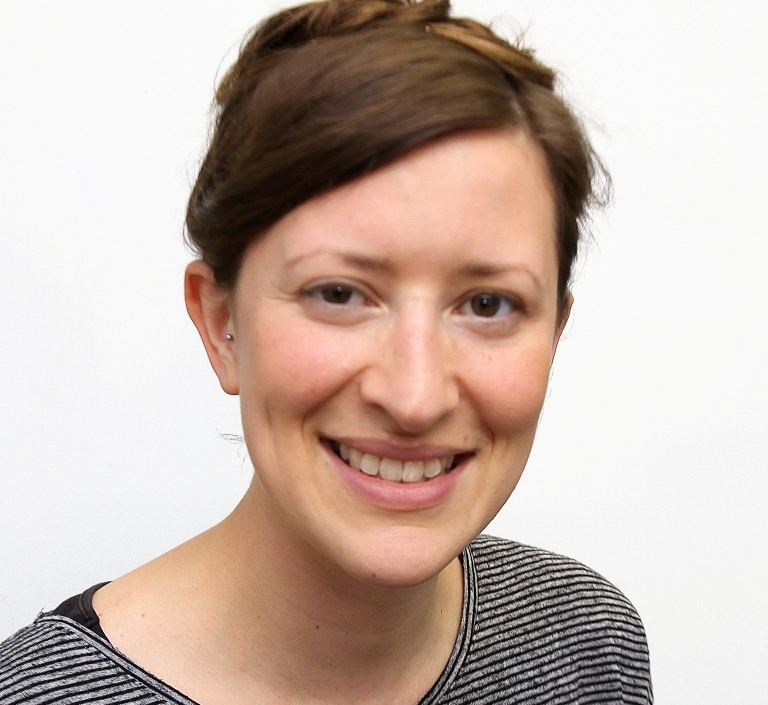 Dr Laura Pottinger is a postdoctoral researcher in Human Geography at the University of Manchester. She completed her PhD in 2015 and has worked with the Manchester based youth leadership charity RECLAIM since 2007. Her research expertise is in understanding localised forms of community social action, political engagement and social change.